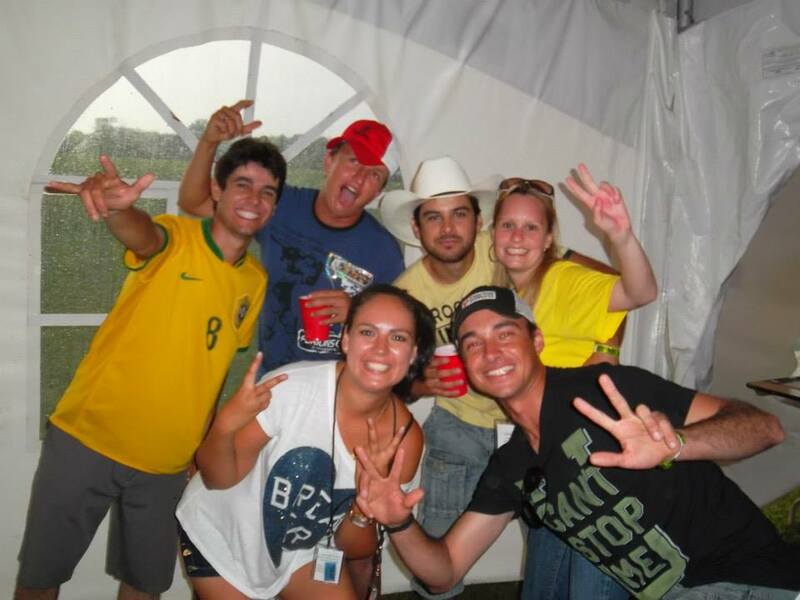 When I graduated from a Marketing program from a university in Brazil, I did not know any English. After graduating, I knew that I needed to learn English and wanted a new experience at the same time. I found a Bison Ranch in Wisconsin that sold bison via the internet and decided to apply for the CAEP program. After my internship at the Bison Ranch, I moved to a crop farm in North Dakota and then to an orange farm in Florida. My English was zero and because of that, it was very difficult to communicate with my hosts, especially the first one. It was also difficult for me to perform farm tasks since I had never worked at a farm before. There were times when I wanted to give up and go home. There were times when I thought that learning English was too hard and didn’t want to practice anymore. I know how easy it is to keep talking in your own language instead of switching to English, but my goal for coming to the USA was for the experience and to learn English. It was very challenging but every day I got better. Now when I talk with trainees, they are surprised to hear that I am not an American. They say that I don’t have an accent. But Americans know that I do haha! When I was on my CAEP program, I made lifelong friends and the friendships are still going strong today. This is a very unique experience and one that brings people together. Near the end of my program, CAEP Agriculture Coordinator Maja, who was also my coordinator, came to my host site on a supervision visit at the orange packinghouse. She offered me an internship in the CAEP office and I saw this new opportunity where I could keep improving my English and gain a new experience. After my internship at CAEP, I was offered a position as the CAEP Horticulture Coordinator. Every day, my job is different. I get to meet new hosts and trainees, learn more about different cultures, and share my experience as a CAEP intern. It was not always easy but the experience changed my life in many ways. I believe that the J-1 program brings the world a little bit closer together by promoting peace, respect, and understanding between nations. The program is a great way to prepare yourself for becoming successful managers because you have international experience and English skills!